TUI Cruises has celebrated the keel laying of its future cruise ship Mein Schiff 4. 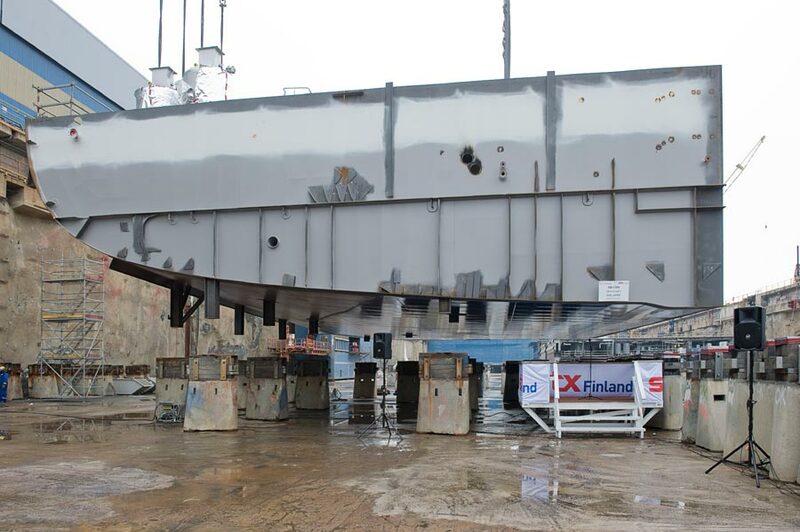 The laying was done at the STX Europe shipyard in Turku, Finland which is where the cruise ship is being built. As is tradition symbolic coins were placed on the central block and many officials from the shipyard and the cruise line watched the events unfold in the shipyard. Mein Schiff 4 is the second in a new class for the German based cruise line. Mein Schiff 3 is already well underway in the construction process and is expected to launch in just a few months. Mein Schiff 4 will launch in Spring 2015 and will be the same class as its sister ship. You’ll be able to book cruises on Mein Schiff 4 from September 2014. The ship will be aiming for the German market with on board features purposely done for Germany. Mein Schiff 4 has cost approximately $625 Million at 99,300 gross tons which is not the largest class around but can still carry 2,500 passengers. Keep an eye on Cruise Hive as we track its development until launch.